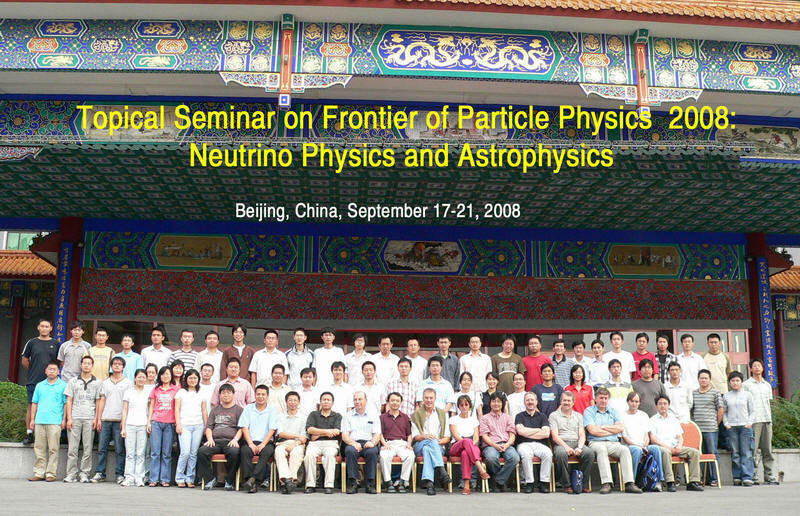 The Summer Topical Seminar on Frontier of Particle Physics 2008: Neutrino Physics and Astrophysics will be held at JIUHUA SPA & RESORT in the suburb of Beijing, from September 17-21, 2008. The number of participants is limited to 100. The deadline of registration is August 15th, 2008. ● A number of lectures given by internationally distinguished physicists to cover the fundamentals and the current status of Neutrino Physics and Astrophysics . ● Some short presentations on the related topics from young researchers. It is designed to encourage much discussion and cross-fertilization of physics ideas between the lecturers and the audience.